Google is rolling out a new feature that will integrate your Gmail account with Google searches. 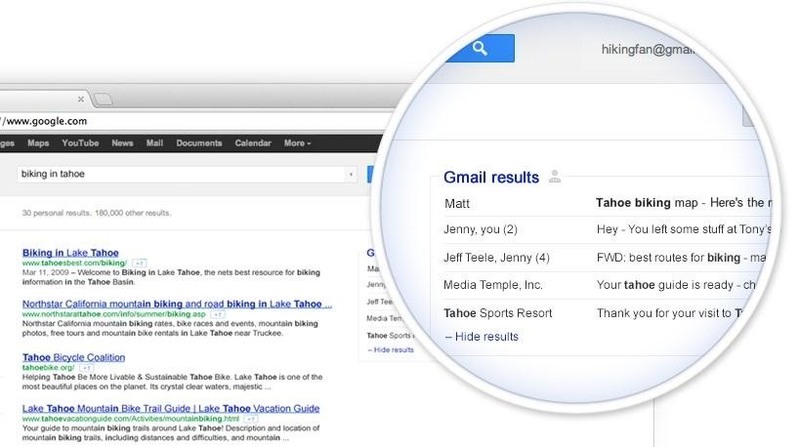 The feature will add results pulled from your email correspondences to create more "personalized" Google search results. Google is currently doing a test run of the service. To activate it for your account, head on over to this page to sign up. It's currently restricted to the English version of the site, and for those with @gmail.com email addresses (not available on Google Apps accounts). And because they are rolling the feature out gradually, results might not appear immediately. If you wish to opt out at any time, return to the sign-up page to disable it. I don't know how comfortable I would be with this. To be honest, I don't really see the use in their "personal results" in general.